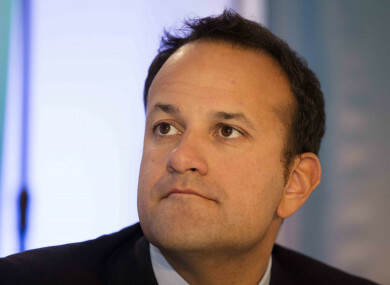 Poll: Should the Taoiseach make clear his stance on the abortion campaign now? The Taoiseach is said to be waiting until the recommendations of the all-party committee before deciding his stance. TAOISEACH LEO VARADKAR will wait until the wording of the abortion referendum is decided before choosing his own stance on the measure. At yesterday’s Cabinet meeting, a government spokesperson said that the Fine Gael leader will wait until he sees the proposals from the all-party Oireachtas committee. That committee is considering the recommendations from the Citizens’ Assembly, which said the Eighth Amendment should be replaced or amended. That committee is due to make its recommendations by December. After this, the government will decide on the wording of a referendum, which is due to take place next May or June. Some TDs have already signalled their stance clearly on the issue. Minister for Children Katherine Zappone has said she supports the repeal of the Eighth Amendment, while nine members of the committee have said they want greater access to abortion and two said they do not. In an interview with the New York Times earlier this month, the Taoiseach said he does not agree that a “baby in the womb, the foetus, whatever term you want to use, should have no rights at all”. So, what do you think? Should the Taoiseach make clear his stance on the abortion campaign now? Email “Poll: Should the Taoiseach make clear his stance on the abortion campaign now?”. Feedback on “Poll: Should the Taoiseach make clear his stance on the abortion campaign now?”.